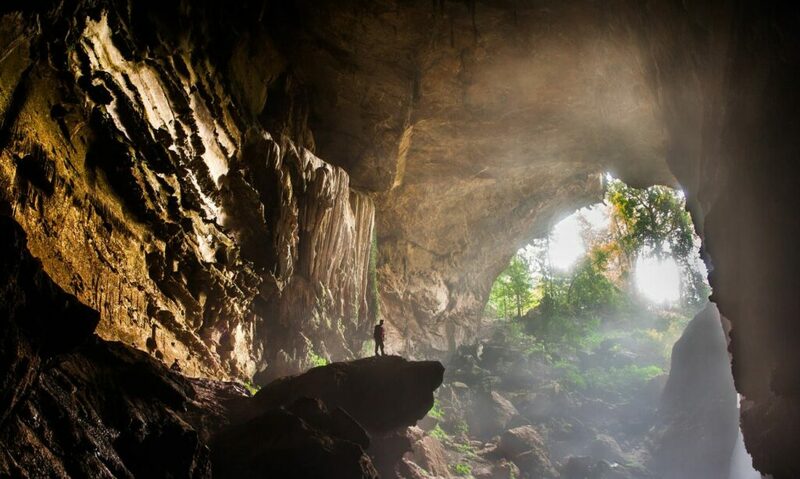 This cave is probably beyond anything you’ve ever come across! It’s mesmerizing, it’s mysterious, it’s beautiful and magical. Discovered—or better said rediscovered—in 1990 by a man traveling through the jungles of the Phong Nha-Ke Bang National Park, Ho Khanh was searching the area for timber and food in order to make money in order to survive. Little did he know that his search for food and timber would take him to uncover a magical, otherworldly place. Ho Khanh explored the place as best as he could but eventually went back home. A few days later, when he thought about returning to the mystery cave to explore it, he couldn’t remember the exact location where he had found the entrance. Eventually, Khanh forgot about it. 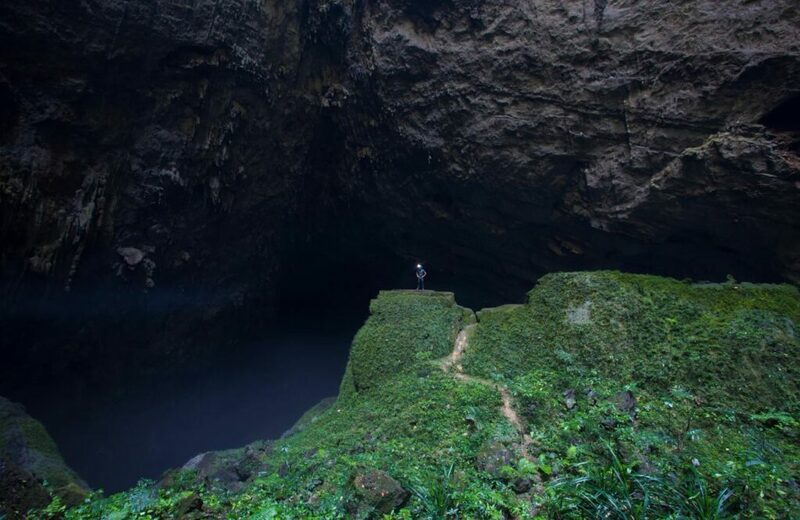 Eventually, members of the British Cave Research Association (BCRA), Howard and Deb Limbert were exploring Phong Nha, conducting exploratory missions in the area. 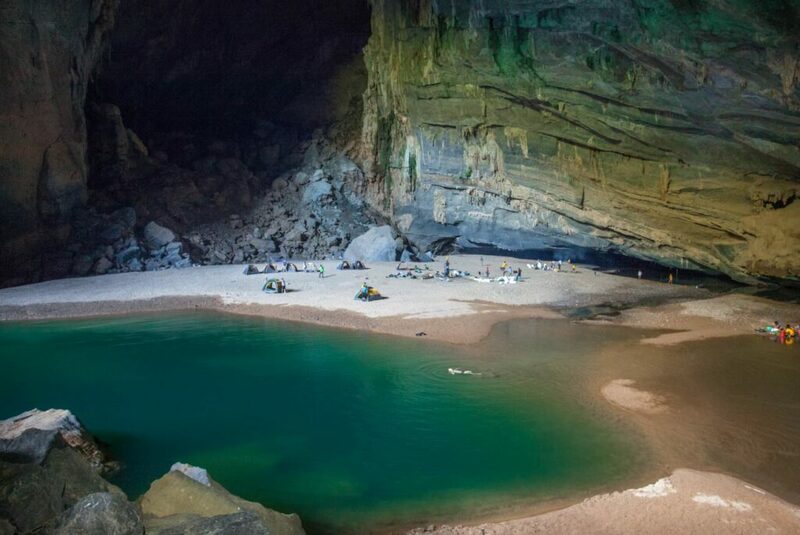 One day they spoke to Khanh who mentioned the mesmerizing cave he had come across. The British Cave explores were fascinated by what Khanh had told them and urged him to try and rediscover it once again. 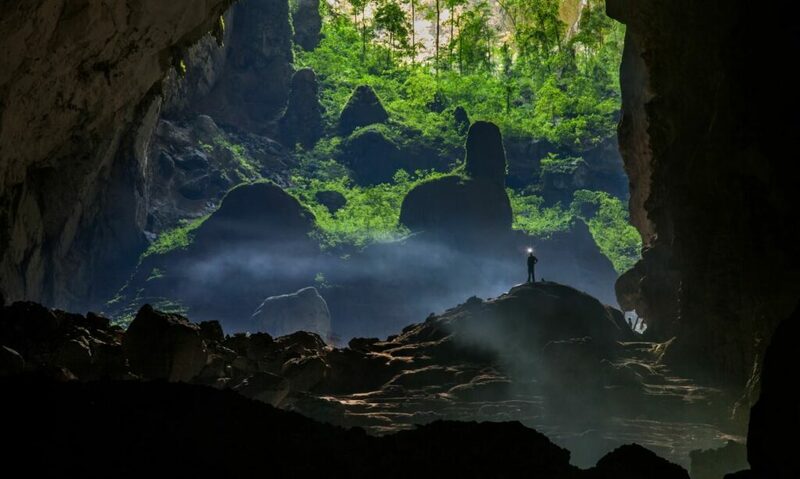 Many failed attempts went by as they searched for the cave entrance, and just when they thought they would never rediscover it, in 2008 Ho Khanh found its ‘otherworldly portal,’ a supermassive cave hidden for centuries far from mankind’s reach. 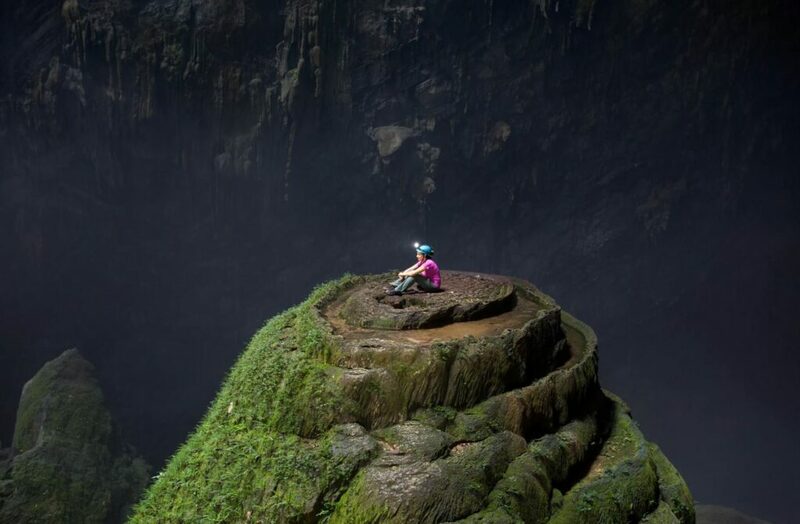 Eventually, Khanh led the British cave explorers to the cave in 2009 as they performed the first-ever expedition to enter what would later become known as the Hang Son Doong cave, or the ‘Mountain River Cave’. The cave is massive. It’s humongous. It’s so big that many claim a Boeing 747 could easily fly through its largest cavern. The interior of the cave is unlike anything you’ve ever seen. Its ‘alien-like’ landscapes are most likely exclusive to the cave, as many who have entered it have said that they’ve never seen anything like it anywhere else in the world. 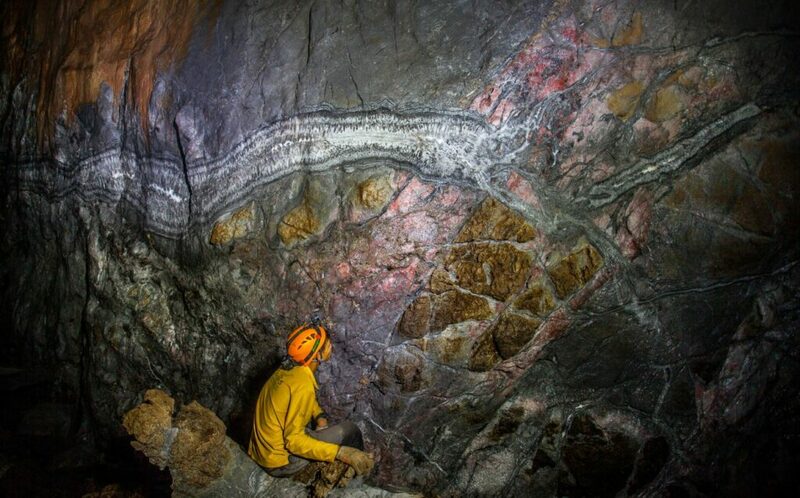 The cave is one massive ecosystem, so big that it’s as if you’ve entered the ‘inner world’. In fact, it’s so mesmerizing that entire jungles emerge from inside the cave, a landscape so magical that you cannot appreciate its true beauty until you are actually there. Australian photographer John Spies, who spent a week living inside the cave describes it in an interview with The NYPost. “The entrance is quite small and mist from the cave, caused by the cooler air inside meeting the hot air outside, rises into the surrounding forest,” Spies said.